For up to 200m 3/8″ towfish cable (non-weighted). -Stainless steel welded frame: 22″ w. x 34″ l. x 28″ h.
-Components of stainless steel, pvc, etc. appropriate for fresh and salt water application. -Belt drive w/ variable tension. -Weight: approx. 65 lbs. w/out towfish cable. -Features “wheeled” portability and “dolly” style maneuverablility. 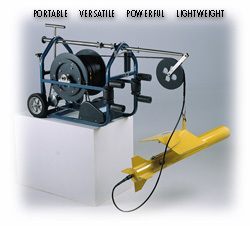 -Extendable fiberglass boom (extends approx. 20″). 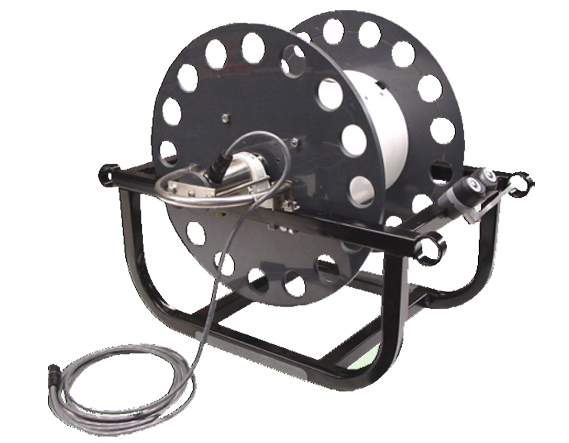 -Powered by 12v Powerwinch motor w/12′ power/switching cable w/ batter clamps. -Includes 4-ring slip-ring assembly adapted to purchaser’s equipment with appropriate connectors provided by purchaser. Deck cable from slip-ring as needed but 20′ as standard. 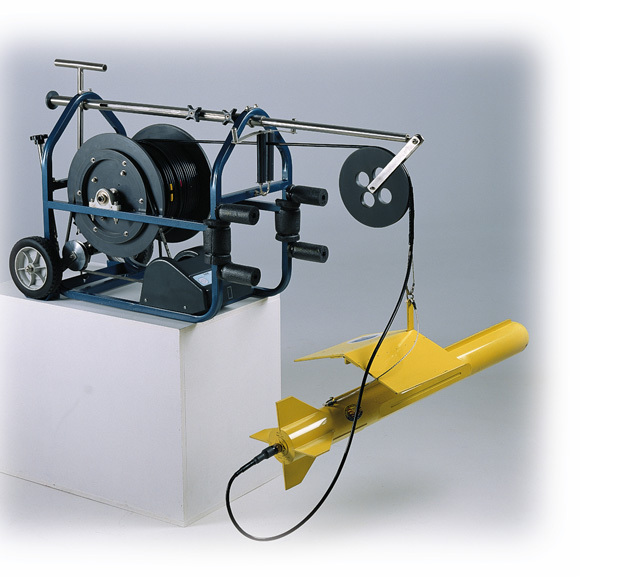 -System is appropriate for specified use with “Marine Sonic” SSPC sidescan sonar system (and others) with spool to accommodate 200m of 3/8″ tow-cable. -Deliverable ready to use with the installation of tow-cable. -Custom features at additional cost. For up to 300m 3/8″ towfish cable and weighted towfish. 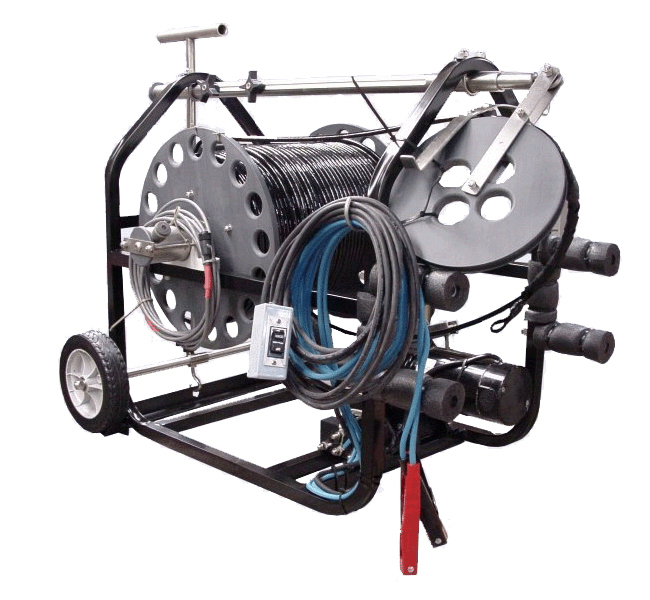 -Powered by 24v dc motor w/12′ power/switching cable w/ batter clamps and 25′ remote (solenoid) switching cable (extendable as needed). -Includes 4-ring slip-ring assembly adapted to purchaser’s equipment with appropriate connectors provided by purchaser. Deck cable from slip-ring as needed but 25′ as standard. -Custom features (300m spool, extended cables, etc.) at additional cost. For up to 500m 3/8″ towfish cable and weighted towfish. -Stainless steel welded frame: 22″ w. x 36″ l. x 32″ h.
-Dual-Belt drive w/ variable tension. -Weight: approx. 110 lbs. w/out towfish cable. 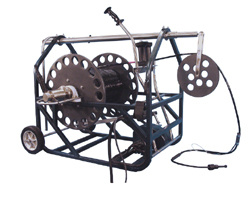 -Powered by 24v dc motor w/12′ power/switching cable w/ batter clamps. -Includes 4-ring slip-ring assembly adapted to purchaser’s equipment with appropriate connectors provided by purchaser. Deck cable from slip-ring as needed but 30′ as standard. 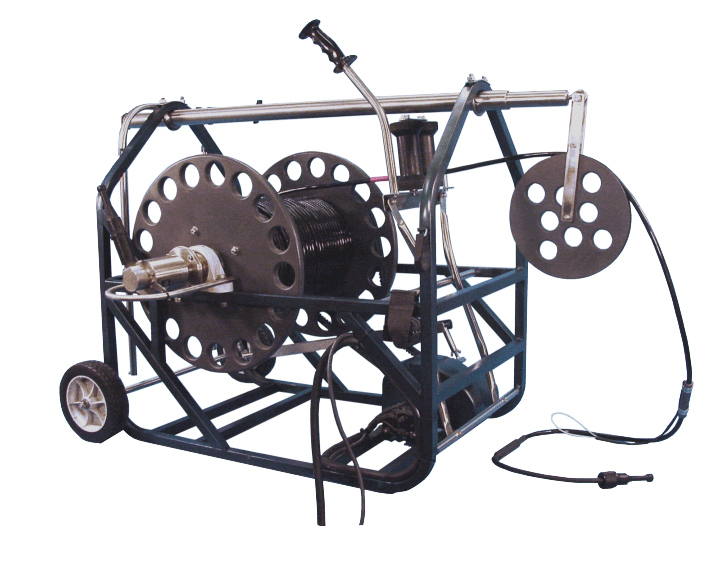 -System is appropriate for specified use with “Klien” sidescan sonar system (and others) with spool to accommodate 300m of 1/2″ tow-cable. 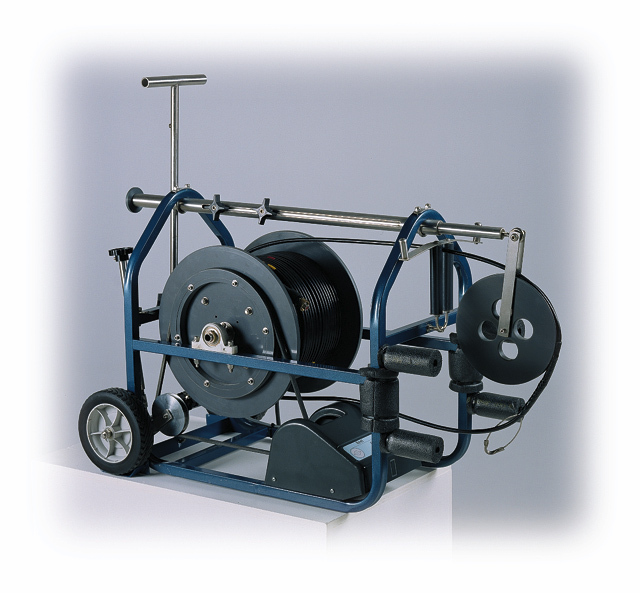 For instrument cable handling up to 130m 3/8″ towfish cable. -Stainless steel welded frame: 20″ w. x 24″ l. x 20″ h.
-Components of powder-coated stainless steel, pvc, etc. appropriate for fresh and salt water application. -Weight: approx. 25 lbs. w/out instrument cable. 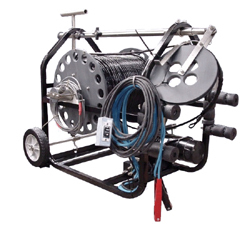 -System is appropriate for specified use with “Marine Sonic” sidescan sonar system, “Videoray” ROV system (and others) with spool to accommodate 300m of .30″ tow-cable.